It’s probably not too far off the mark to say that many of us Brits usually throw our hard-earned cash towards Europe when it comes to skiing; the honey pots certainly aren’t cheap but the resorts are extensive and the sliding is typically good and reliable. The same, sadly, can’t quite (slight understatement?) 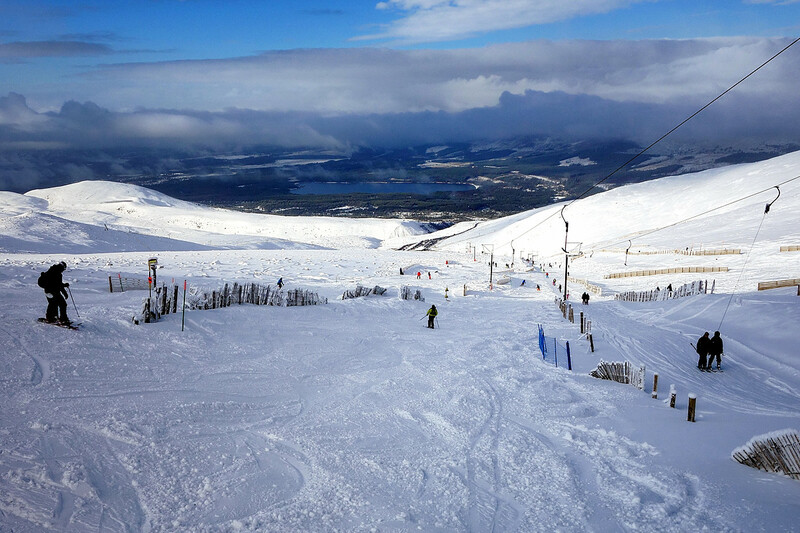 be said of our home-land skiing. 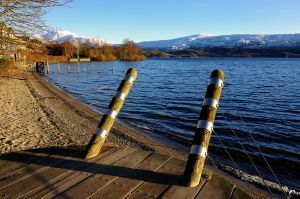 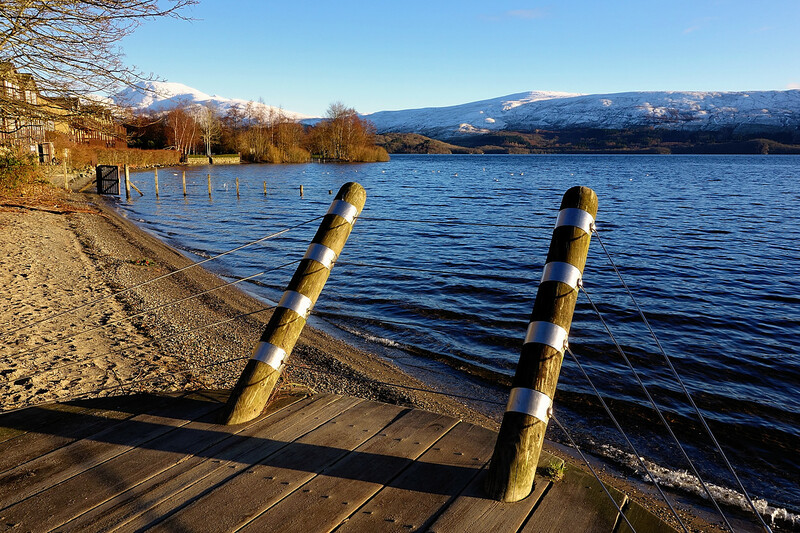 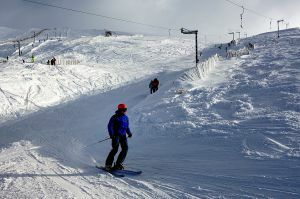 Scotland, undoubtedly the premier ski location in the UK, is exposed to the vagaries of the Atlantic weather systems which all too frequently inflict anything from soggy wet snow, low-lying clag and broken runs to savage winds, white-outs and icy runs. 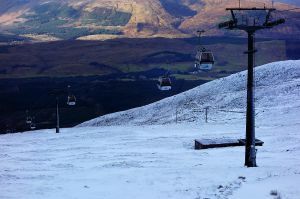 That said, the long-suffering Scottish ski industry appears to have had a proverbial leg-up in recent years thanks to some ‘harder winters’ of late. 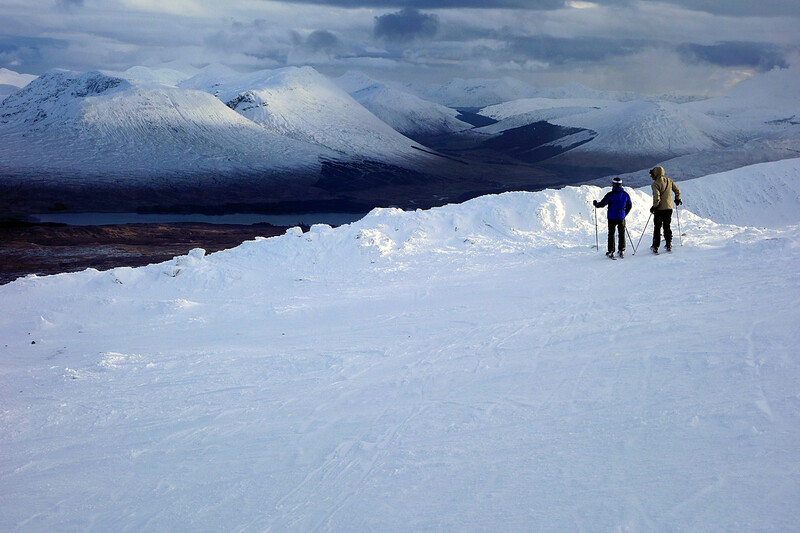 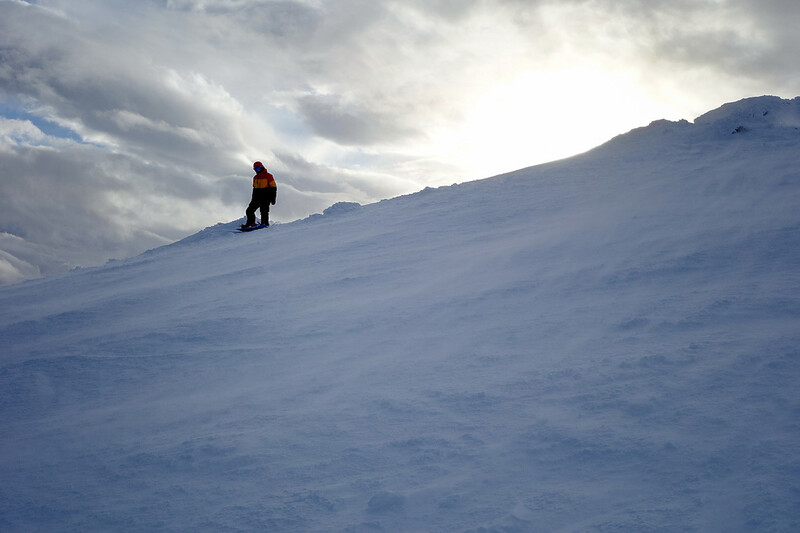 Die-hards continue to head to the Scottish hills whenever the conditions come good. 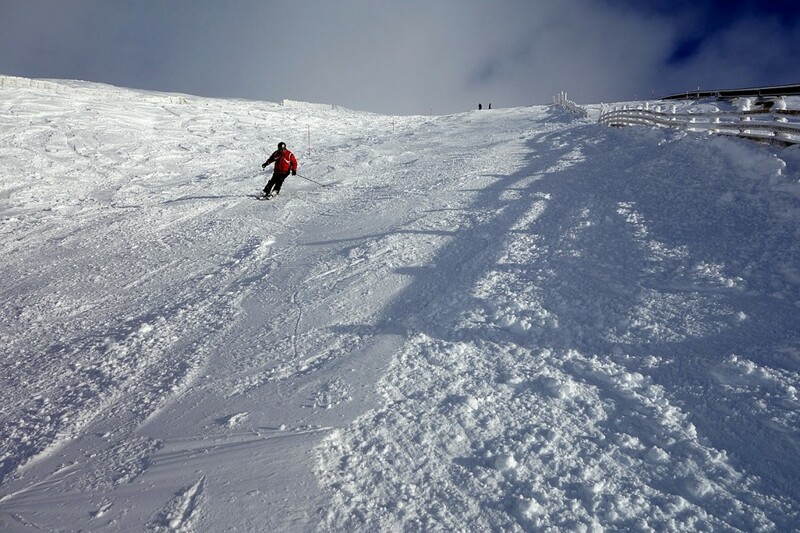 Sheffield’s recent February half-term, conveniently a week ahead of many others, amazingly coincided with a good forecast in Scotland; settled conditions with low winds, decent (cold but not Baltic) temps with overnight snow showers topping up the already established snow pack. 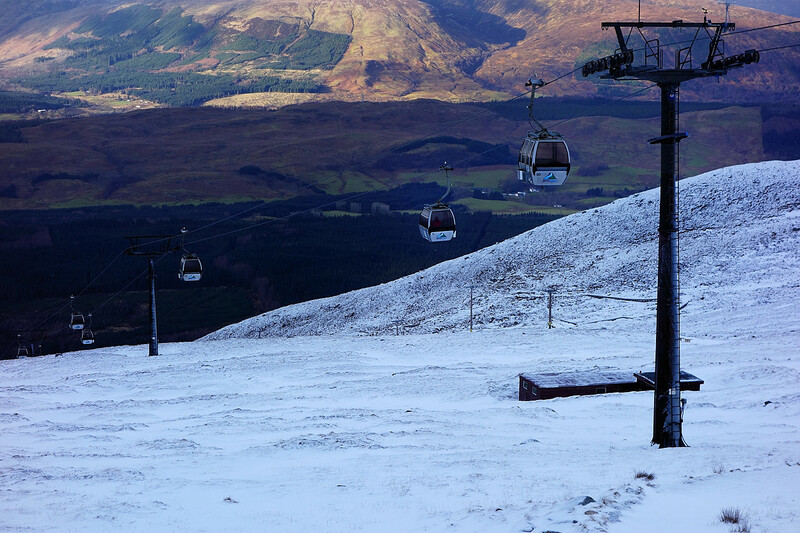 It seemed almost too good to be true and rude not to take advantage. 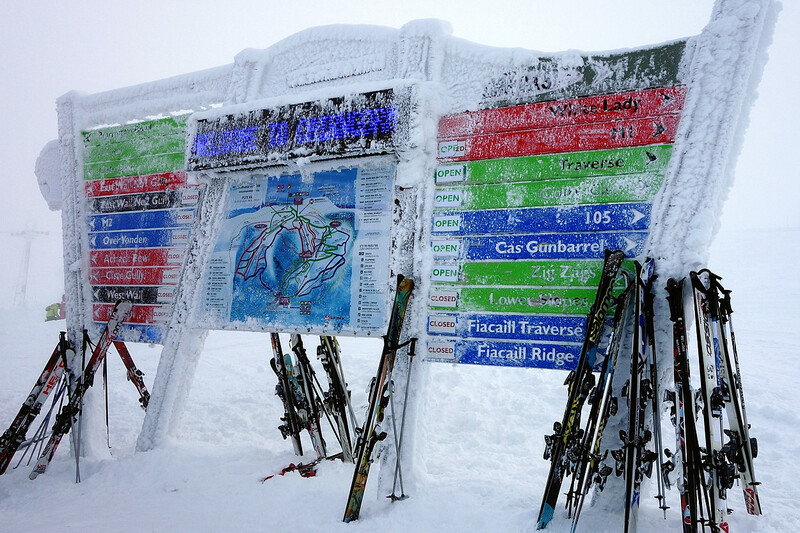 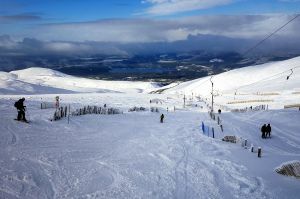 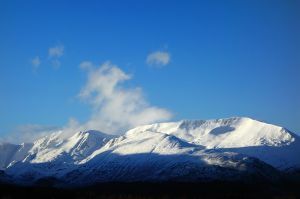 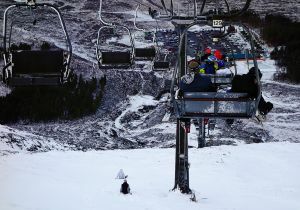 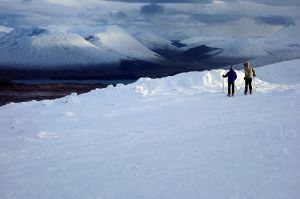 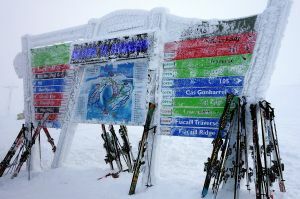 Having skied before at Cairn Gorm we were keen to get to some of the other places – especially Nevis Range and Glencoe. 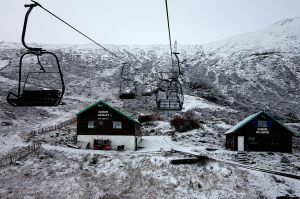 Finally, we decided on a blueprint for the trip; kick-off at Cairn Gorm, then switch to Nevis and then finish off at Glencoe for our third and final day. 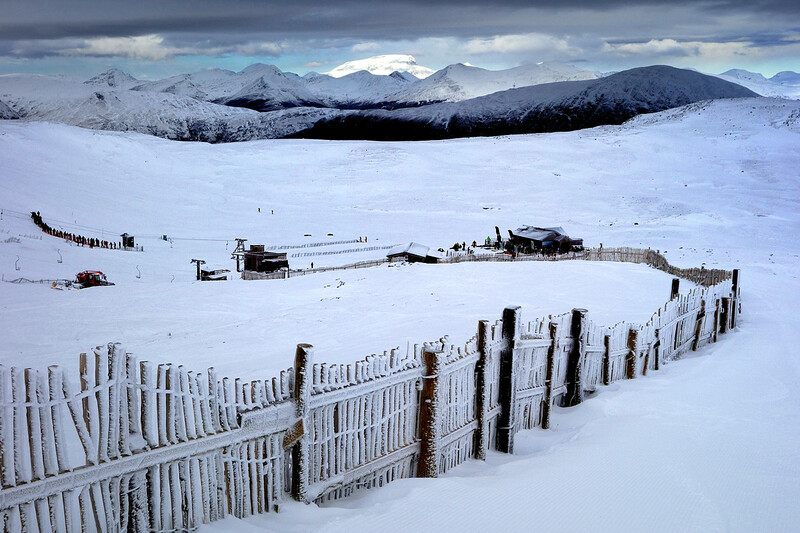 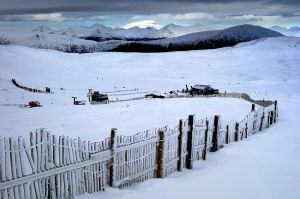 Sadly, the Lecht and Glenshee weren’t showing sufficient snow/runs when the master plan was pulled together although that changed as the week progressed and they too were reporting decent sliding opportunities. 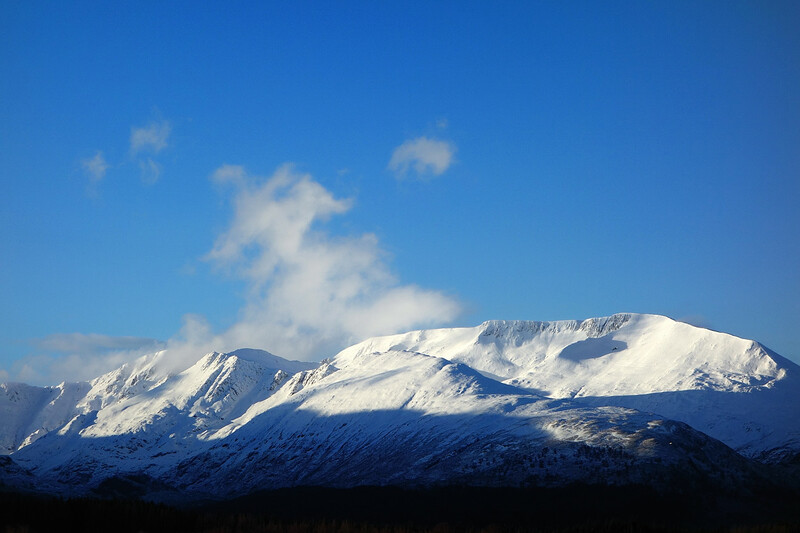 We arrived in Aviemore midweek and awoke to a considerable dusting of fresh snow – that in the valley too; things looked promising! 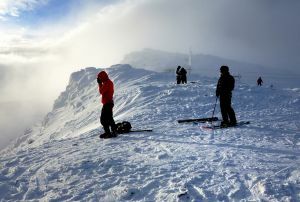 For three consecutive days the conditions stayed pretty good and the skiing was good. 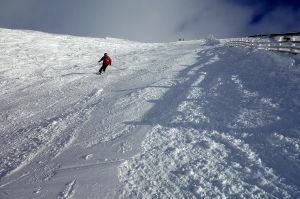 Cairn Gorm and Nevis didn’t quite have sufficient build-up to allow so-called top-to-bottom skiing but both had a good chunk of their respective runs open. 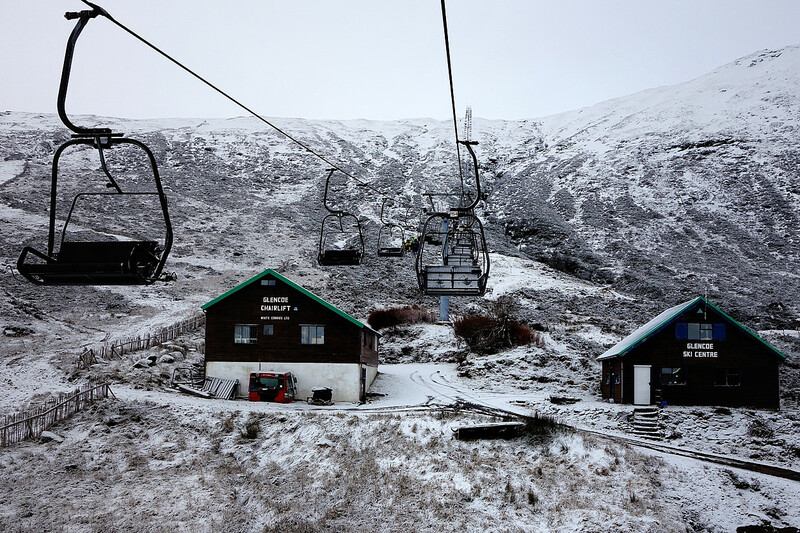 Back Corrie action was happening at Nevis, albeit for the suitably experienced and equipped. 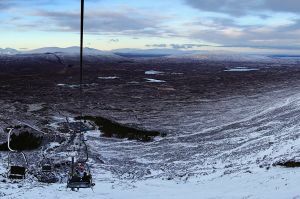 Glencoe however, was virtually fully open with every run good to go above the access gondola.To be honest, getting three good days skiing in Scotland in three consecutive days felt like a rare treat; defo not to be sniffed at. 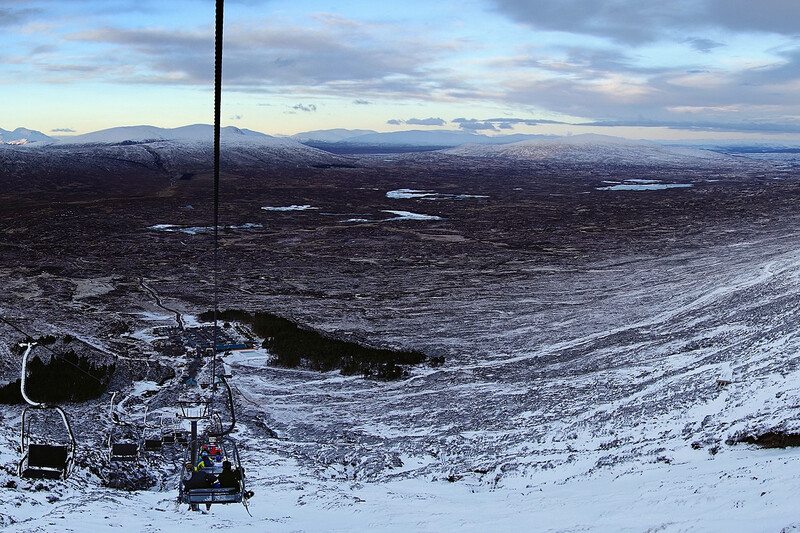 Sure, it’s different to the European experience, but as they say, “if you can ski in Scotland you can ski anywhere”!